Every year at Christmastide my sister and I keep the universe in good working order. By playing Scrabble. You see, we both love words and are well-matched in talent, vocabulary, muscular coordination, and tolerance for – umm – creative vocabulary. We follow the laws of Scrabble. We make the most of every premium square. No proper names allowed, but we may, in a pinch, resort to some improper nomenclature. And so librarian and history professor lock horns three times per Christmas season. The outcome is ontologically reassuring. She wins one, I win one, and we tie. Or we tie, then I win one, then she. Or if one of us wins two and loses one on a given year, the following year the pattern is reversed, and the sun continues to shine and the stars continue in their courses. Oh, but last year – How did it happen? Whose sin was it? Did someone commit a felony, an atrocity, or a misspelling? – the pattern was shattered. I slid past my sibling in the first game, and galloped past her in the second . . . and we ran out of time for a third. After that rueful Christmastide the universe was off-kilter. Cakes fell, joints ached, printers jammed and paint flaked. The harmony was harmed, the shalom was shmashed, the yin-yang was yanked, the haloowalinne was hindered . . . you get the idea. Providentially, we were able to meet in August to complete the unfinished triad. And a ferocious contest it was! At the beginning, both of us were limited almost entirely to consonants in our arsenals, and by turns we wedged tortured words into tortuous constructions. Later on the vowels flowed freely but, alas!, we could only daub them into the fortress walls here and there. In the midst of this I was slowly but surely losing the battle, fighting every square of the way. In the end, the long-missing ‘q’ popped up as the very last letter square of the game and wound up in my sister’s arsenal. I set her up, woe is me, to deliver the final q de grace. She made “quit” and emptied her arsenal in the process, and so she and I both passed away. But the score was 306 to 254. My sister had creamed me, and the universe was restored to balance. 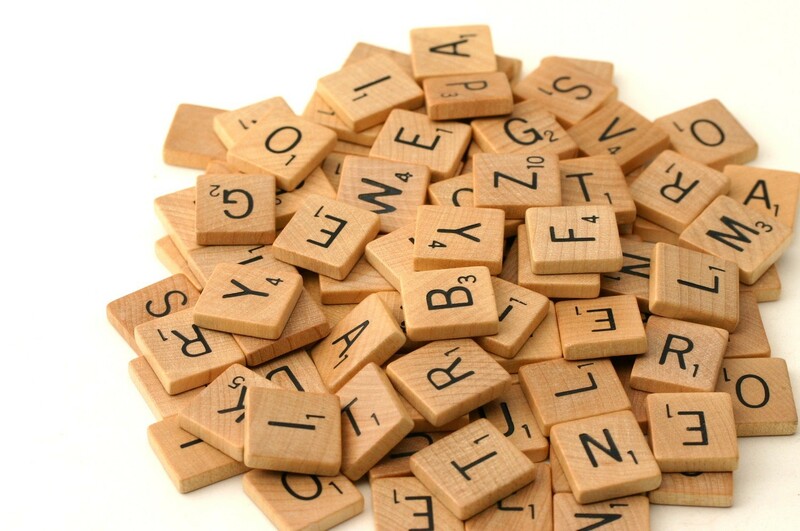 Please send, as your thank-offerings, replacement Scrabble dictionaries. Fun post, Sara! Thanks for the smile and the balance.